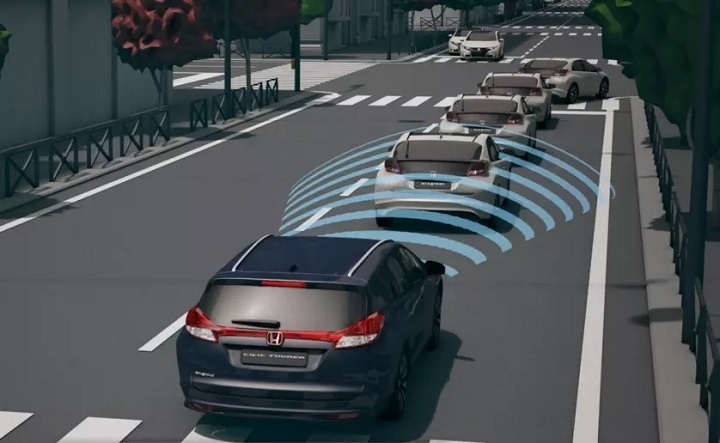 All new vehicles will need to be fitted with autonomous emergency braking (AEB) and Intelligent Speed Assistance (ISA) by 2021, under new proposals. Outlined yesterday (17 May), the proposals are part of the European Commission’s (EC) Third Mobility Package, which sets out to allow all drivers to benefit from safety enhancements, less polluting vehicles and more advanced technological solutions. Under the proposals, every new car sold in the EU would have to satisfy 11 new safety rulings, mandating technologies such as AEB and ISA, as well as built in breathalysers, lane-keeping assist and drowsiness detection. The Third Mobility Package, which also includes new targets to halve road deaths and – for the first time, serious injuries – in the decade to 2030, will need to be approved by 28 member states and the European Parliament. Violeta Bulc, EC commissioner for transport, said: “Over the past year, this Commission has put forward initiatives addressing the challenges of today and paving the way for the mobility of tomorrow. The announcement has been welcomed by a number of road safety stakeholders from the UK and mainland Europe, including Brake – who describes the proposals as a ‘huge leap forward for EU road safety’. Joshua Harris, Brake’s director of campaigns, said: “This proposal is hugely significant, marking the next chapter in European road safety and putting us back on the path to vision zero – a world with zero road deaths and serious injuries. “These proposals will get the latest lifesaving vehicle technologies on our roads, a move long called for Brake, preventing crashes and helping reduce their impact. 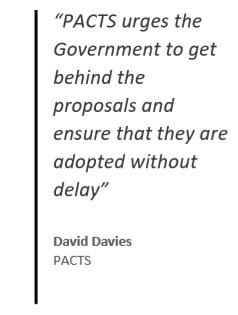 The Parliamentary Advisory Council for Transport Safety (PACTS) is also backing the proposals and calling on the UK Government to follow suit. David Davies, executive director of PACTS, said “This is an opportunity to ensure that modern safety features are fitted as standard, not as options. Thatcham Research describes the measures as some of the most significant in the past decade and is calling for the UK Government and vehicle manufacturers not to stall in making AEB mandatory on all cars and vans. Matthew Avery, director of research at Thatcham, said: “Just as seat belts are a legal requirement on all cars and vans, AEB should be as well. The European Transport Safety Council (ETSC) says the new safety standards could prevent 25,000 deaths within 15 years. Antonio Avenoso, executive director of the ETSC, said: “Taken together, the announcements could represent the biggest step forward in road safety in Europe since the introduction of the seat belt. Regulation is absolutely the key ingredient. Without it, manufacturers will use each separate feature as a way to make us buy more and more expensive option packs. The result will be that most cars will be without most safety features. By making them mandatory, all manufactures will be on a level playing field, and will do what they do best, which is find a way to make them at the lowest cost. And that cost will still be lower than the cost of the accidents avoided, so a net saving to the country as a whole, even ignoring the human costs of death and injuries. And only the EU could make this happen. Another good reason to support the EU. I doubt if anyone buys a supercar or high-performance car because its acceleration will make the driver better able to ‘defend themselves against death or injury’ – it’s more likely to produce the opposite effect! Hugh, it won’t work. Some would argue that at times acceleration is the only way to defend oneself against injury or death when to continue or to brake would not alleviate the danger,so that has to remain. About top speeds, well we all know that 70 mph is the top speed allowable in this country so if we make it 70 mph then what about country road which have a limit of 60 mph but in which drivers or motorcyclists can kill themselves at a much less speed of say 30 mph around a sharp bend. So speed limits will not work either. These electronic measures are to be required by the EEC in the future and if so they must be mandatory and no one should be able to switch them off as then they would be worse than useless. I believe that if there was electronic control of distances between vehicle based on approved speeds and distances and that applied to following vehicles and also oncoming ones and fixed objects as well then we may have a chance of reducing collisions. How about a mandatory capping of acceleration and top speed on vehicles, beyond what is actually needed for normal driving? It seems counter productive to look for new technology to counteract out-of-control drivers and their vehicles, when there is a more obvious solution. Another step away from drivers ‘needing to be aware’ when in control of their vehicles? It’s bad enough that people already believe that ABS, Traction Control, EBS, etc., means that they can drive like utter morons, in poor weather conditions! Now they will pass on the need to look out for other vehicles or road users to a bit of technology? When the inevitable collision occurs, the excuse of well my car didn’t slow / stop in time because I thought the in car system would do that? It was the two quotes: “…will need to be approved by 28 member states and the European Parliament.” and “It is absolutely crucial that EU member states and the European Parliament give their backing to the plans…” which made me wonder about the UK’s future position in all this, that’s all. Rod is right about the politics but the automotive companies will incorporate these new technology upgrades in their vehicles in due course anyway as they look at sales across the whole of Europe and across the world. Market forces and competition are equally as important influencers as regulation & law. These are EC proposals and the journey on this already long road to this technology becoming law is likely to arrive eventually but the confidence in the 2021 timetable may be a tad optimistic. You can check out but you can’t leave! With “regulatory alignment” between Ireland and Northern Ireland and Great Britain then any such regulations should be applied. Of course, I am not taking account of any unicorns involved! The EU is mentioned quite a lot in the above news story, so where does this leave the UK as, by 2021, it will have left the EU anyway?